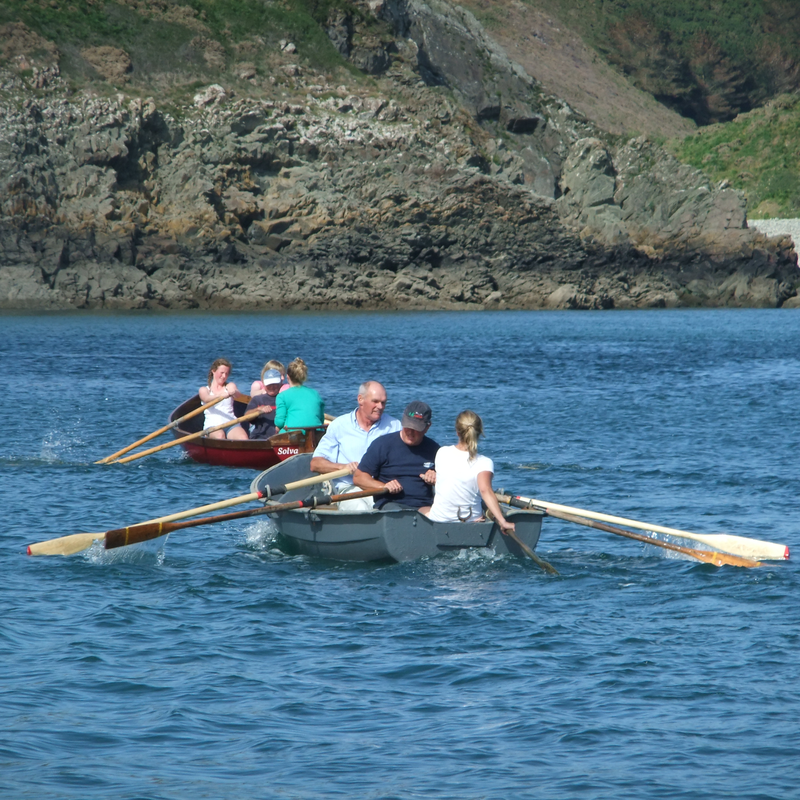 The Solva Regatta has been part of the village calendar for the last 130 years. 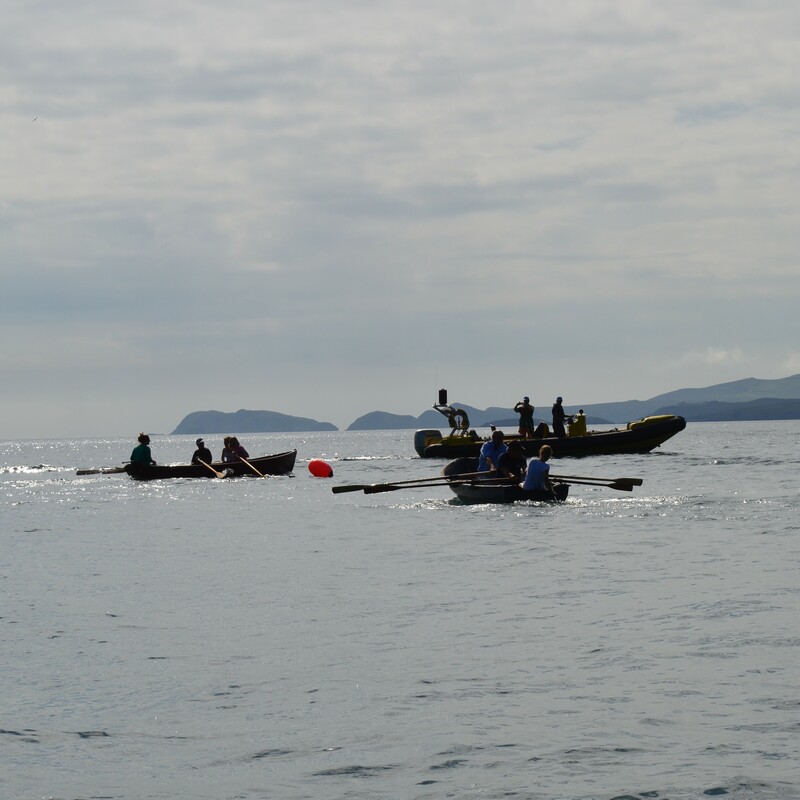 There are a range of events to take part in, beginning with swimming races, then some novelty events, swim / row relay, canoe races and the extremely popular traditional rowing and sculling events. 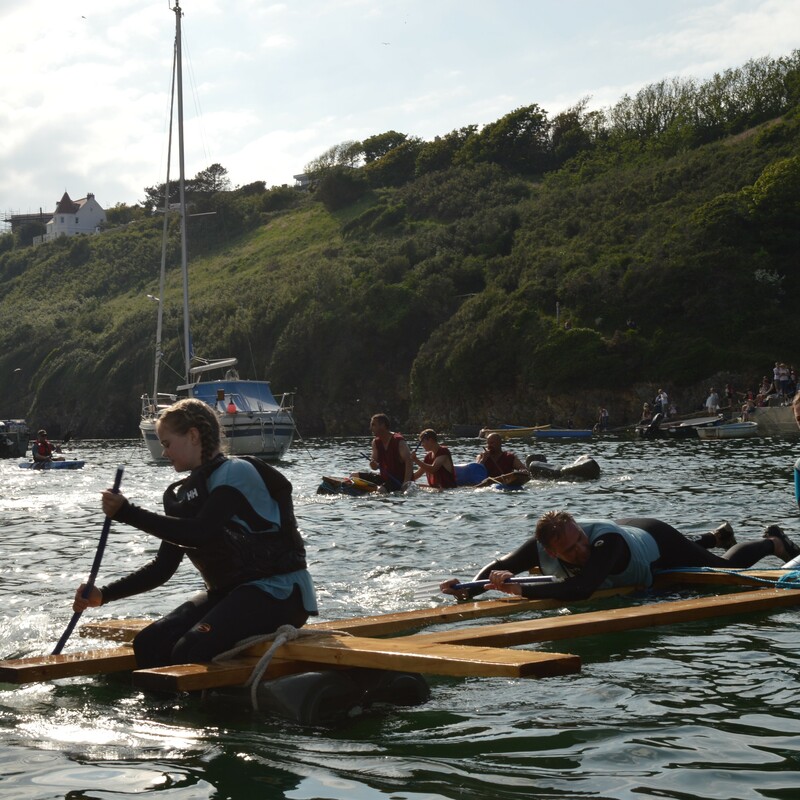 Additionally competitors can enter the blindfold inflatable dinghy race which always causes a few laughs for the spectators. There are cash prizes to be won in every race. 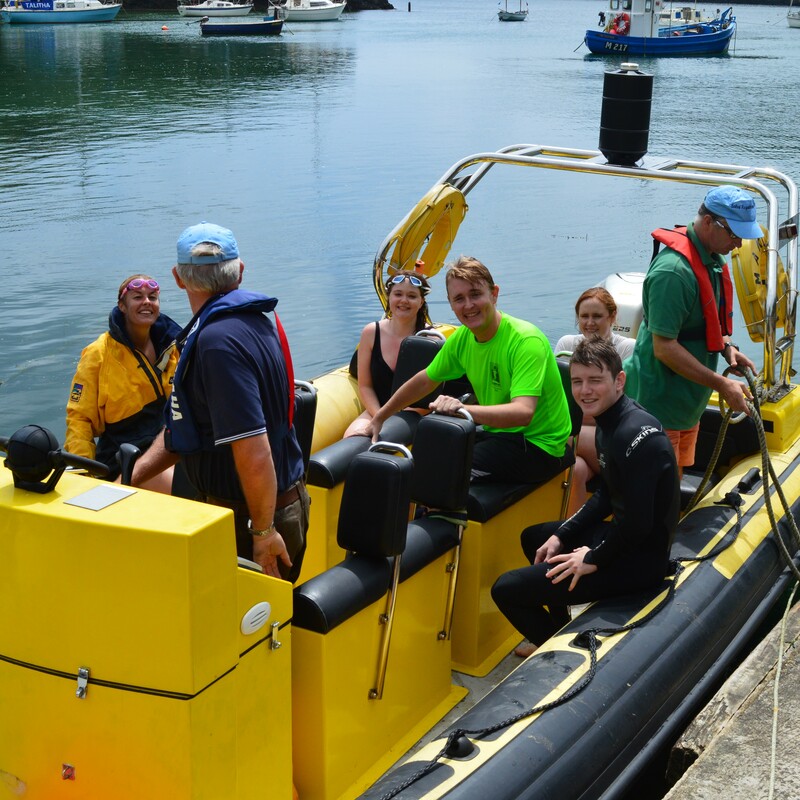 During the day there are plenty of other things happening on the Quayside. The RNLI ladies have a stall where you can purchase lots of RNLI related items. Food and drink can be purchased from Café on the Quay (licensed bar) including hot burgers and sausages straight from the bbq. As well as a ‘Guess the Flag’ competition and ‘Guess the Lifeboat Time’ we also have a very well stocked Raffle which is drawn near the end of the day (some great prizes to be won every year). 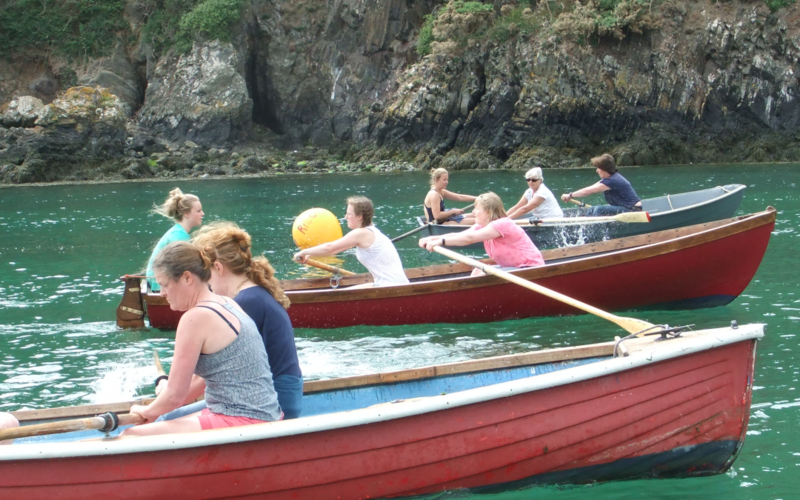 Welcome to our new website for all things Solva Regatta! 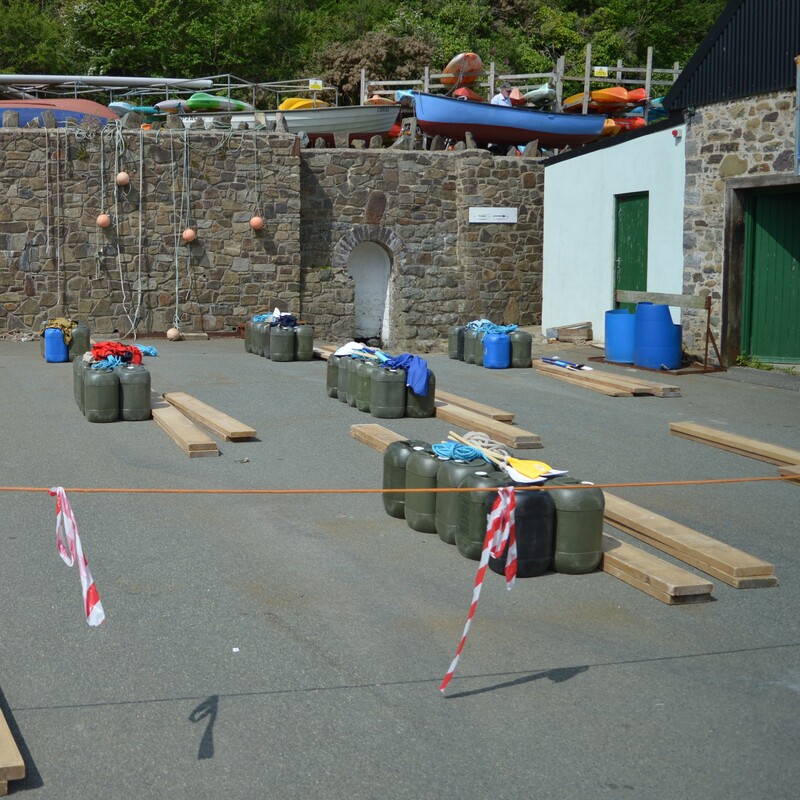 In short, 10 teams compete with the same equipment supplied, 4 on each team. 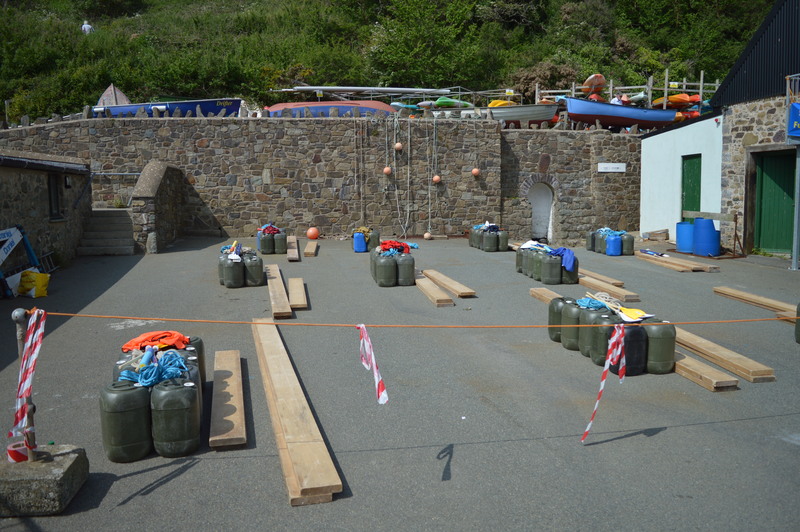 They have to build a raft in 45 minutes, throw it over the harbour wall into the water, hope it stays afloat, 3 team members race over the harbour to the other side, pick up 4th team member and race back! 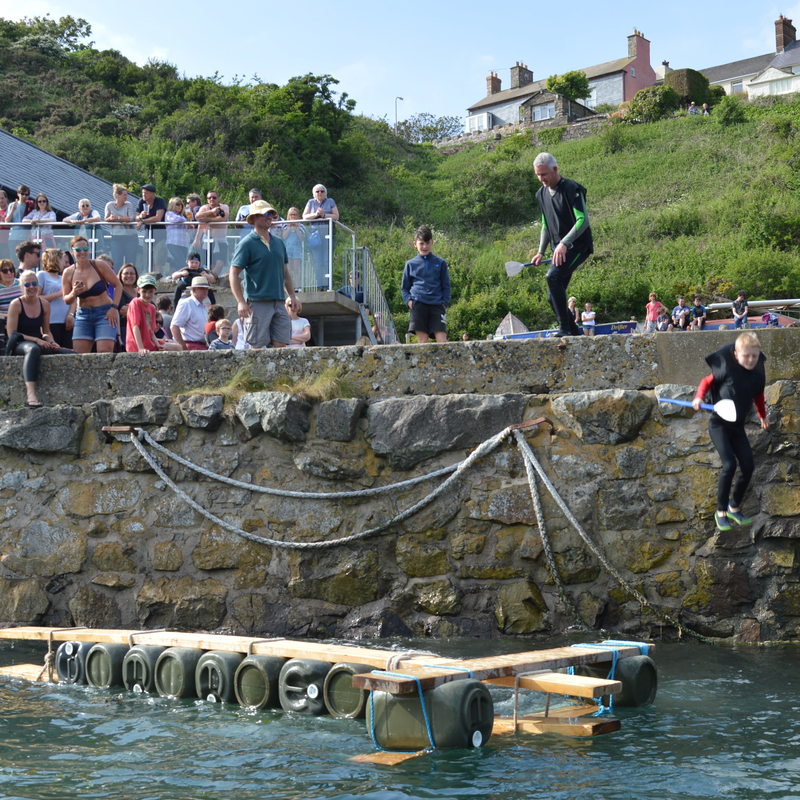 First raft to return to quay wall with all 4 team members are declared the Winners! 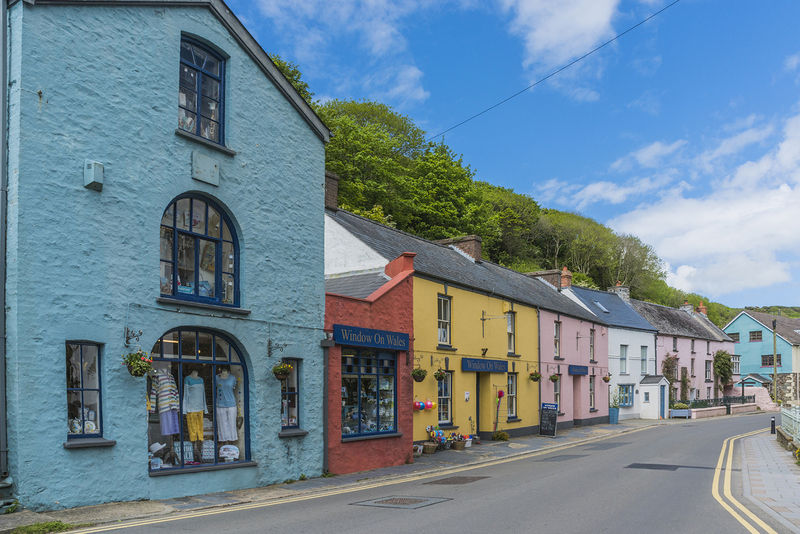 The beautiful village of Solva, conveniently located on the northern coast of St Bride’s Bay between St David’s and Broadhaven in the county of Pembrokeshire, South West Wales, is a popular seaside retreat for both old and young alike. 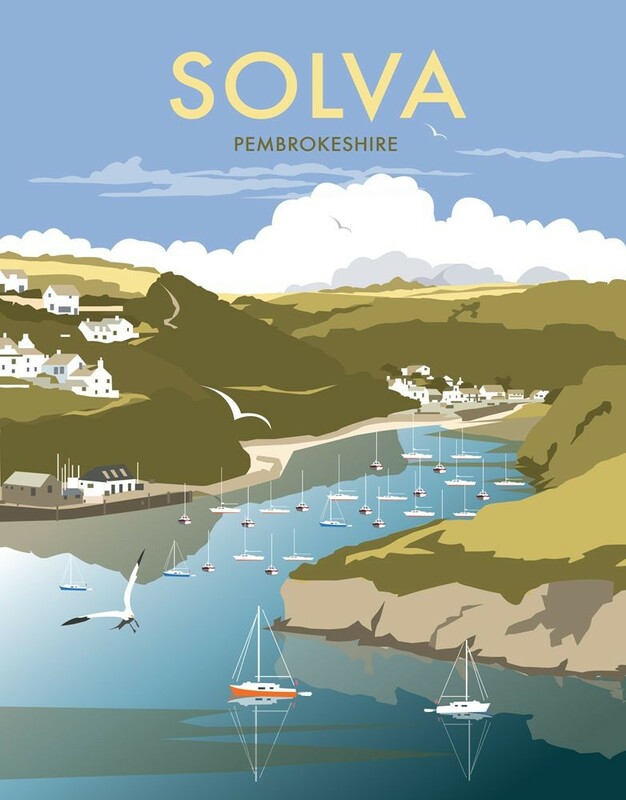 Being in two parts, Upper Solva and Lower Solva, the village has plenty to offer for all the family. 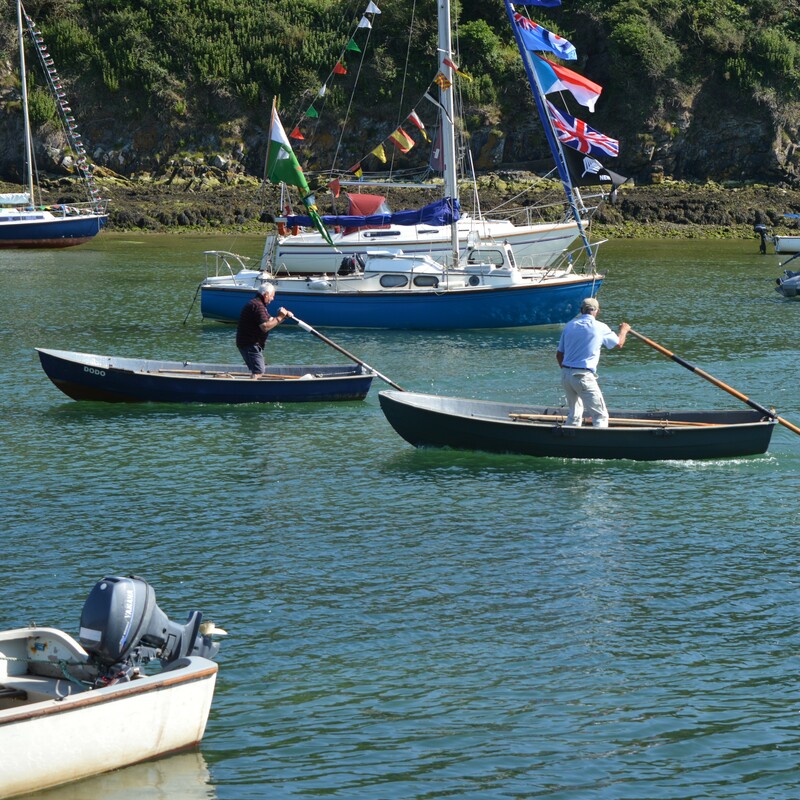 Lying upon a deep ravine on the estuary of the River Solva, the village offers glorious views over the north coast of St Bride’s Bay. 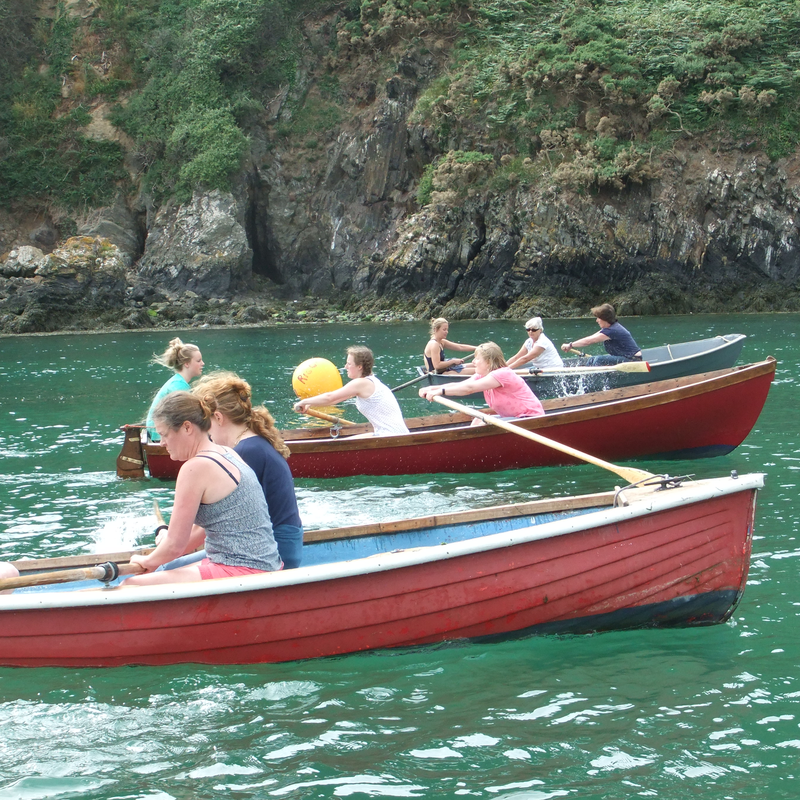 Children will love Solva, whether fishing for crabs from the harbour wall at high tide or rock-pooling or paddling on the beach at low tide, there is plenty of fun to be had at Solva. 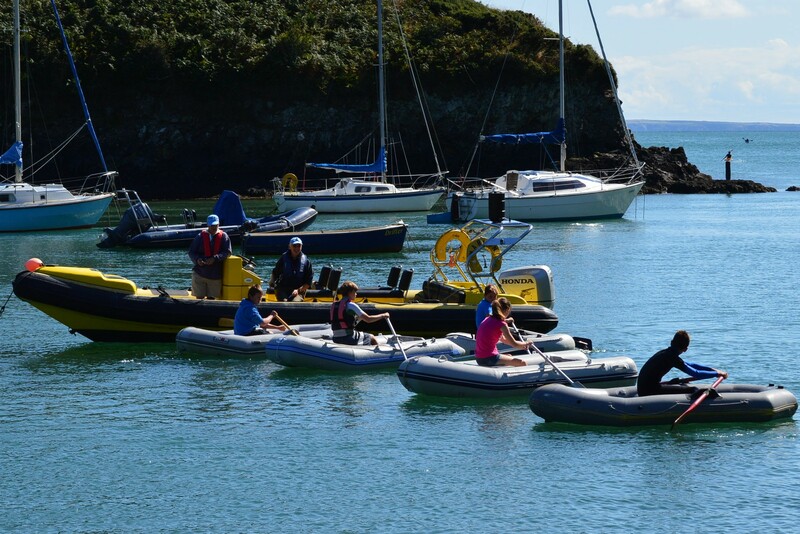 For the more adventurous, why not take a boat trip from the picturesque fjord-like harbour to have a close up view of the beautiful cliffs and wildlife around the islands of Solva. 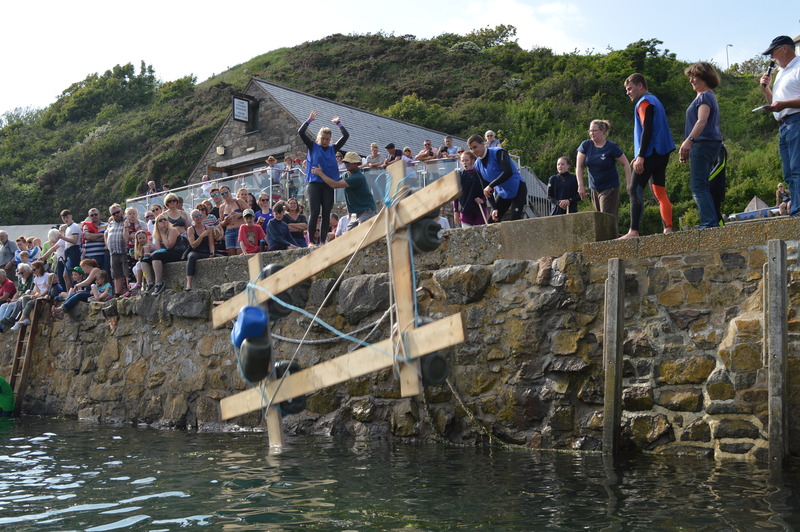 Watch first-hand the lifting of a lobster pot and discover what it contains in the way of local marine life.